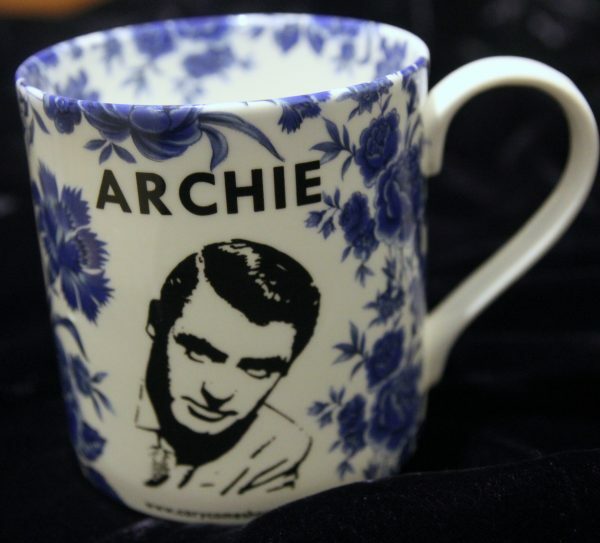 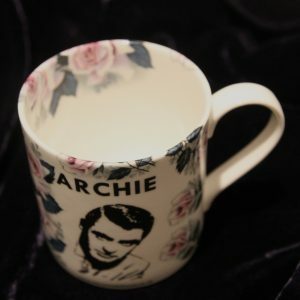 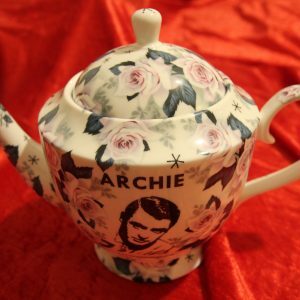 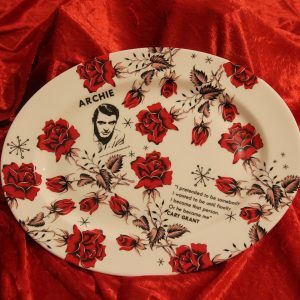 Archie Mug with quote: “I pretended to be somebody I wanted to be until finally I became that person. 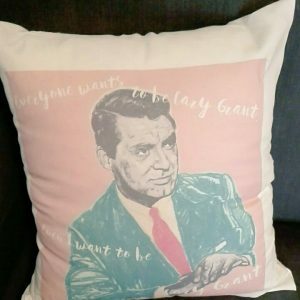 Or he became me” (Cary Grant). 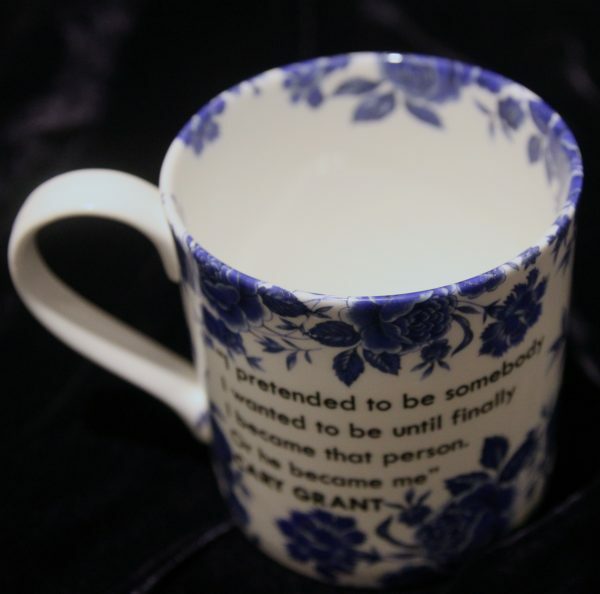 Each mug is uniquely hand-decorated with limited edition blue rose salvage print by Stokes Croft China. 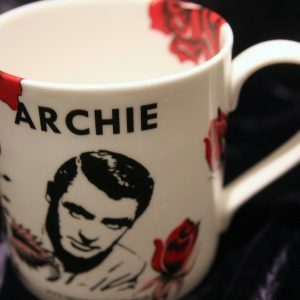 Also available in red, for £16 or pink for £15.